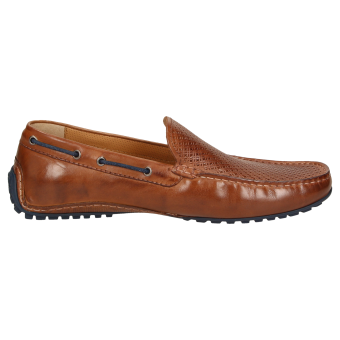 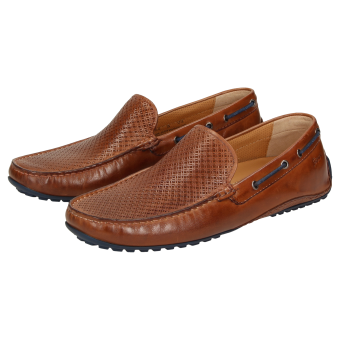 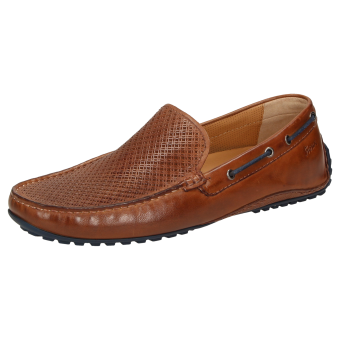 Men's calfskin moccasin-style loafers with trendy cord laces at the top of the shaft and featuring a summery embossing on the vamp. 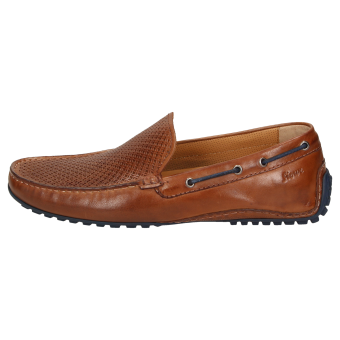 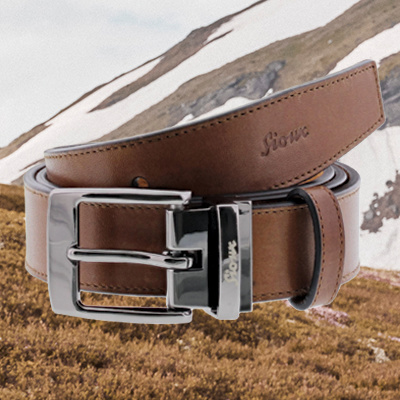 Lined with lightweight calfskin. 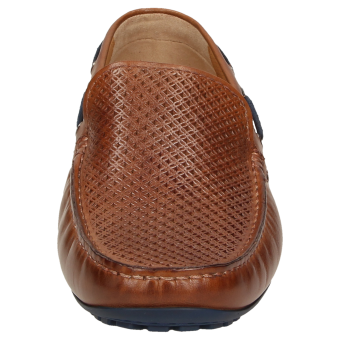 Soft, removable, calfskin-covered insoles, also suitable for your own insoles. 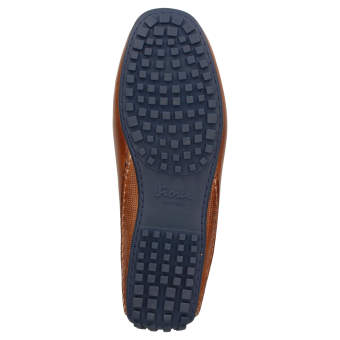 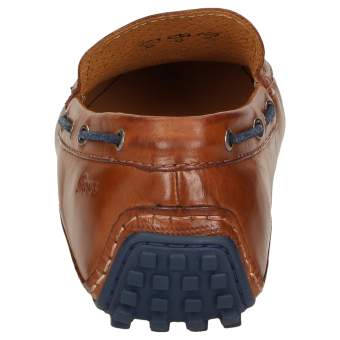 Full rubber nubbed outsoles, which cover part of the heel. 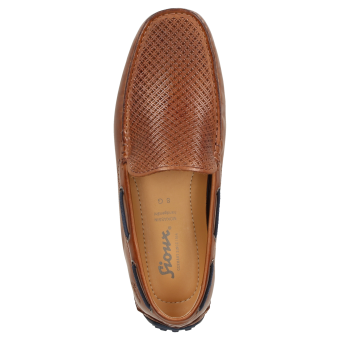 A perfect shoe for summer without the need for any socks.